Right here in Broward County, you can find several examples of floors as public art installations. 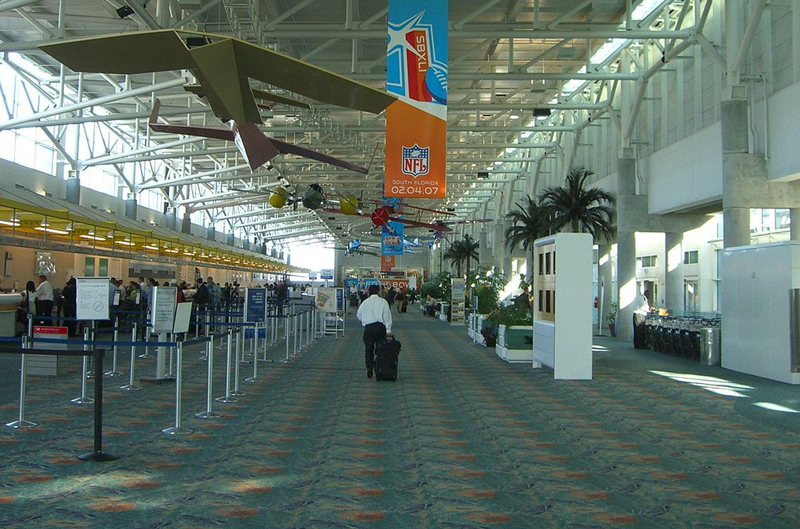 Terminal 3 at the Fort Lauderdale-Hollywood International Airport is being modernized and reconfigured to provide passengers and visitors with a more efficient and pleasant experience airport. A major component of the renovation is the replacement of carpeting with terrazzo. The site for the Terrazzo Floor Design Project is the Departures Level of Terminal 3, including Concourses E and F. The artist team has created an original terrazzo floor design that visually aids with the organization of traffic circulation and way finding, and that provides for focal/meeting points. The floor design is reflective of the region, visually pleasing, and creates a sense of place. “Dove Medallion” by artist Val Carrroll was installed in 1992 at the St. George Community Center in Fort Lauderdale. The entrance flooring to the building is designed with ceramic tile in the form of a circle embellished with eight cut-out shapes of doves in flight. Another terrazzo floor installation at Fort Lauderdale-Hollywood International Airport is “Mangrove Islands” by Thomas H. Sayre. Indigenous mangrove islands are this artwork’s inspiration and have created an unusual view of this otherwise familiar theme by ingeniously slicing three horizontal segments of this Florida habitat. At Port Everglades, Michele Oka Doner’s work, “Forces of Nature: Trade Winds & Ocean Currents,” is a beautiful deep green and blue terrazzo floor consisting of two arenas of focus. In the wider section is an 8-foot diameter globe in cast bronze depicting a spinning manner. The globe is energized with crisscrossed longitudinal and latitudinal lines. Enhancing the movement are great sweeps of iridescent mother-of-pearl simulating the trade winds that circle the earth. The mother-of-pearl aggregates vary in color – white to pink and silver, scale and proportion, adding a kind of cosmic delight. In the narrower portion of the floor ocean currents pick up the sense of motion begun by the spinning globe, carried by the winds, and resulting in a wave-like pattern. Consecutive wavy lines, executed with aggregate, delineates a new region, approximately 25 feet in dimension. This area contains the seedbed of approximately 225 units depicted in cast bronze. The forms were drawn from actual seeds from the multitude that are known to drift far and wide in the currents. The “seeds” vary in scale from 6-20 inches and reveal textures, patterns, and shapes of exceptional variety. The composition speaks of travel by wind, currents, and ultimately boarding the ship. Back at the airport, visitors will encounter Carolyn Braaksma’s “River of Grass.” Viewing as a whole, the terrazzo floor design embraces the constant motion that makes the Everglades ecosystem unique. From the green terrazzo flowing into the blue tail of the alligator then on to the indigo waters that swirl through the center of the floor, the design enumerates elements of the ecological puzzle that hold them together: mangroves, alligator, snail, frog, butterfly, fish… “River of Grass”, located in Terminal 1, Concourse B, weaves all these elements together into a cohesive representation of the Everglades ecosystem’s interdependence and beauty. While you might not wish to incorporate designs as elaborate as these into your home or office, there’s no reason why your Florida flooring can’t be a work of art. 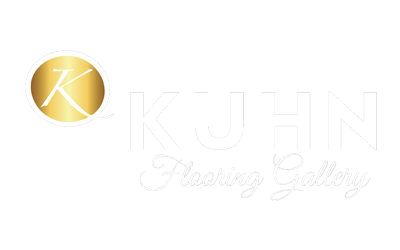 Kuhn Flooring Gallery is a full service flooring company that works in wood, tile, laminate, vinyl, low-pile carpet and other types of flooring. Kuhn is Earth-friendly, too, with a ide range of solutions that meet green building supply goals. Give Kuhn a call and visit its flooring gallery to see what kind of artistic statement Kuhn can help you to make.